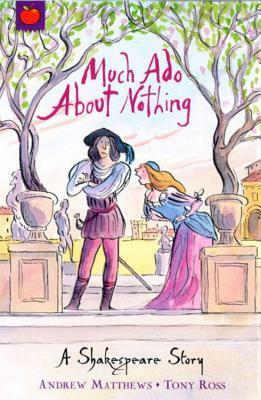 I believe these are a great introduction, to not only young readers, but anyone new to Shakespeare. Actually, anyone who loves Shakespeare in general. Easy to read with great illustrations, that have a Quentin Blake feel to them. I’ll be reviewing each book on its own. I found Hamlet to be interesting, not just the book but his character. He is trying to find proof that his uncle killed his father, but his choices in finding out backfires. I liked that when his father’s ghost appears, he doesn’t automatically believe in it. Maybe he doesn’t want to. Pretending to be mad to get answers was obviously not the best idea, could kind of see where that was going to lead to. Don’t expect happily ever after when reading this, not even close. 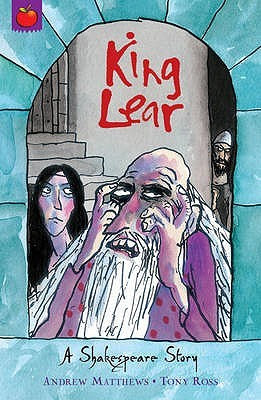 King Lear decides he is old and no longer wants to be King, dividing his kingdom between his three daughters. He asks them who loves them the most, which ends up with the youngest daughter, because she didn’t declare her undying love like her elder sisters, she is banished. You need to read the book to see where that story leads to, but I think this story is about the elderly; what role do they play in society and who takes care of them. 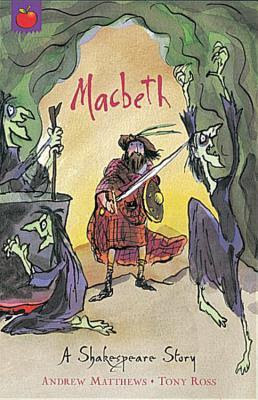 Macbeth would have to be my second favourite Shakespeare play. (Romeo and Juliet is number one). He has a secret wish to become King, and when he comes across three witches who proficies that this will come true, not only is he overcome by this, but also his wife. They both essentially become mad with power, achieving and keeping it. 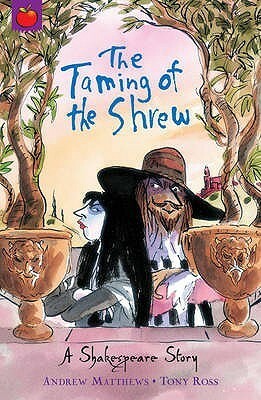 I read at the back of this book, that Shakespeare seems to suggest, the potential for evil is lurking inside us all, and we must constantly be on our guard against it. I cannot wait to see the film adaptation with Michael Fassbender and Marion Cotillard. Othello never loved before, so he doesn’t know the feeling, which leads to a man who is more than likely to become jealous. At the back of the book, it says this book is about envy and jealousy, both very different. Jealousy is an obsession, a consuming passion that can take complete control over someone and cause them to twist innocent words and actions. 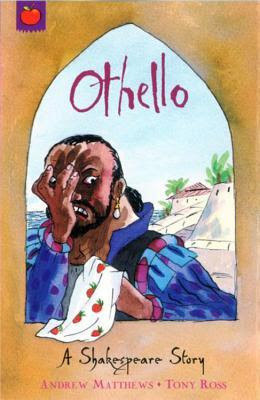 This is Othello. He was easily persuaded that his loving wife was cheating on him. We envy people who have things we wish we had ourselves; this is Iago. He was consumed with this, he would destroy anything in his path to get what he wants. 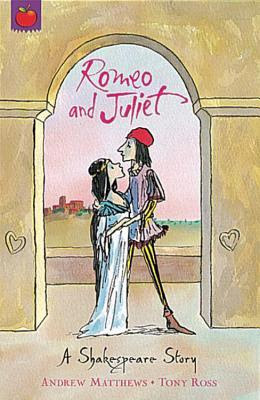 I have many copies of Romeo and Juliet. I absolutely love this story. It’s a tragic young love story that every time you read it, I seem to scream at with the page or the screen. Yelling at Romeo to not drink the poison because Juliet isn’t really dead. But, they needed to die. Because of them, the long feud between the Capulets and the Montagues ended. I found this to be romantic with a bit of comedy. The comedy being the disguise Rosalind seems to get away with. I don’t think the play is intended to be realistic. In a world where disguises convince everybody, villains have a change of heart, and love wins in the end. It was a great story about love and friendship. 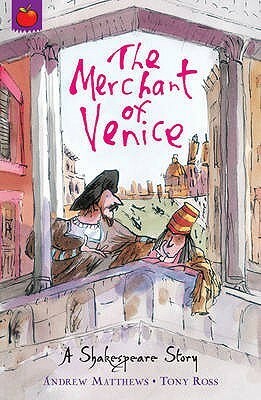 Actually, I was more moved by the friendship between Bassanio and Antonio. Antonio, even though his heart is in the right place with his friends, I still found his treatment of Shylock to be cruel. No wonder the man resented him. And, unlike some of the previous books I’ve read so far, this one does end happily ever after. Love is madness. 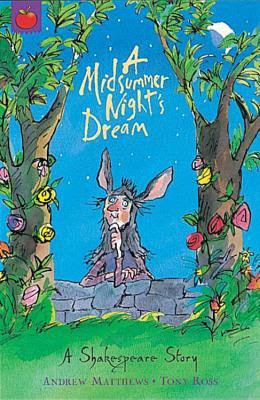 A Midsummer Night’s Dream is exactly that, madness. This would have to be my least favourite so far. I didn’t believe the love, especially between Hero and Claudio. He believes a lie that Hero is being unfaithful to him, so he embarrasses her on their wedding day. She faints and they come up with a ruse to say she had died, so Claudio will come back to her or feel sorry for what he has done. This is the part that confuses me, and to me shows that he doesn’t truly love Hero. Hero’s father tells Claudio the only way you can make it up to me, is to marry someone else in my family, and Claudio agrees. I’m sorry, but if you truly loved Hero, you definitely won’t be marrying anyone else two days after your wedding with her, and one day after her funeral. The only thing I like was Beatrice’s wit. I take it back, I’m not a fan of this one. I know this was written at a time when a good wife was expected to be meek and obedient, and the husband was very much the head of the household, but that doesn’t mean I can’t find it displeasing now. I’m sick of stories like this, where if a woman is sharped tonged and feisty, she needs to be controlled. I’m sorry, I’m just looking it through modern eyes. 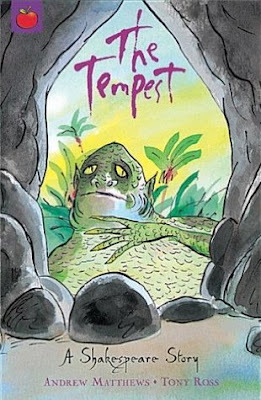 At first, we are to believed that Prospero is evil, using magic to get his way, but he actually fixing a wrong that was done to him years ago. This is how it should have gone with Romeo and Juliet; their families should’ve right wrongs, and let these two young lovers live. I cannot wait to read this in William Shakespeare’s hand, and possibly see if there is a movie. I think Shakespeare made fun of people being in love, and how stupid one person can be. Take for instance Olivia. She seems like an intelligent woman, who doesn’t take to wooing so easily, then as soon as she meets Viola disguised as Cesario, she is a love-sick puppy. This shows that it’s not the clothes that someone wears, but what is truly in their heart. I would definitely would’ve loved to see this played on staged for the first time. Talking about plays I would love to see when it was first acted, is this one. The battles and just the theatrics of it, would’ve been spectacular. 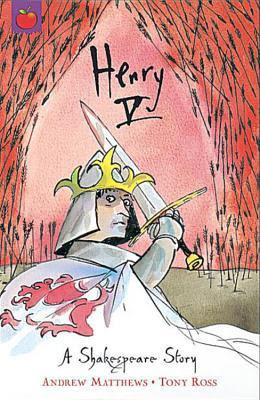 I don’t know a whole lot about Henry V, but after reading this, I definitely want to know more. I wonder if any that was told was true? 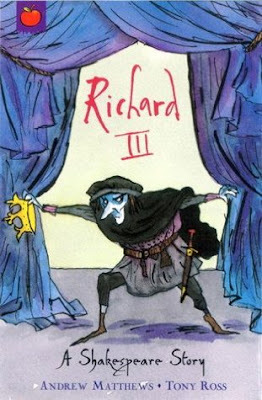 Richard III is portrayed as a villain, ruthless and cruel, but he also has a dark sense of humour. Which it oddly makes him enjoyable to read, and probably watch. 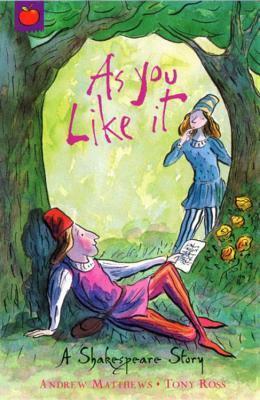 When Shakespeare wrote and performed this play, it was around the time of Elizabeth I, who is the granddaughter to Henry VII. So, you can see why he modified accuracy for not only to please Elizabeth, but also his audience. 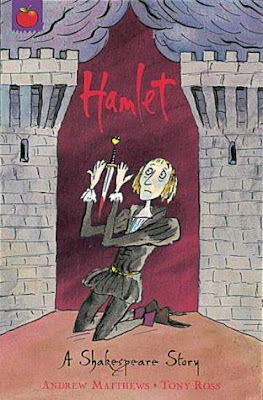 Shakespeare wasn’t a historian, but a dramatist. 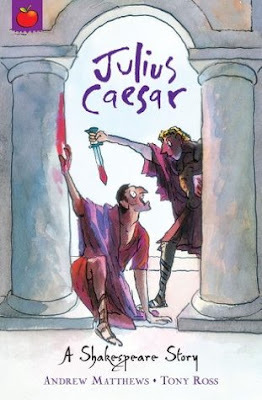 I know a lot about Julius Caesar, especially around the time of his assassination. 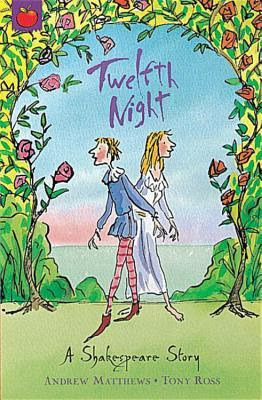 It was very interesting to read it told as a play, written by William Shakespeare. Like I’ve stated before, Shakespeare isn’t a historian, but a dramatist, so even though he might not have captured the honesty and truth in it, he definitely made it fascinating. It’s ironic that Brutus thought if he killed Caesar, Rome will be safer, but because of his actions, he started a chain of events that lead to ruthless dictators, the Emperors. Enjoy this for the story and not the accuracy. That is what I’m telling myself anyway. 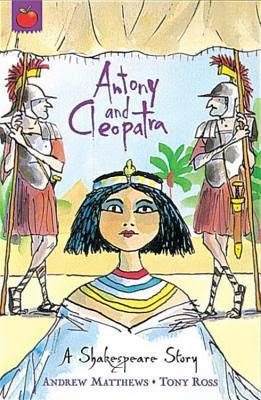 I know A LOT about Cleopatra, since I’ve been obsessing over her for 17 years now, so even though little details are accurate, not the complete of it. I would’ve love to have seen this played for the first time, (I say that with all his plays). Just to get the sense of what the audience were feeling. It would’ve been edge of your seat exciting.